Flowers, wreaths and more adorn a naval anchor honoring President George H.W. Bush on a bluff overlooking Walker's Point in Kennebunkport on Saturday, Dec. 1, 2018. A sign outside Walker's Point in Kennebunkport. 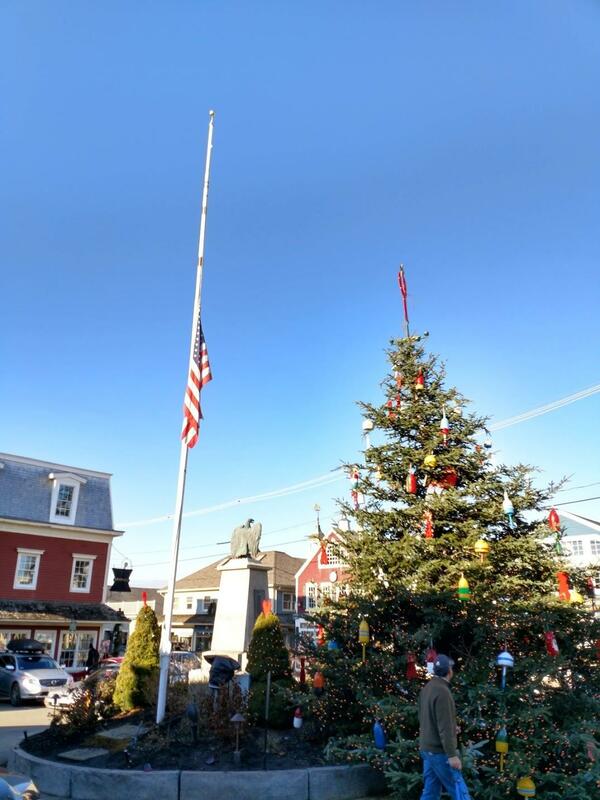 A Christmas tree at half staff in Dock Square in Kennebunkport on Saturday. People wandering through the town looked cheerful enough. Many were making annual pilgrimages from out of state to enjoy the small-town charm and decorations and do some shopping. All had heard about the former president’s death. Brenda Loucks said she cried when she saw the news on her phone Saturday morning. But she, like others, had nothing but praise for the late president. 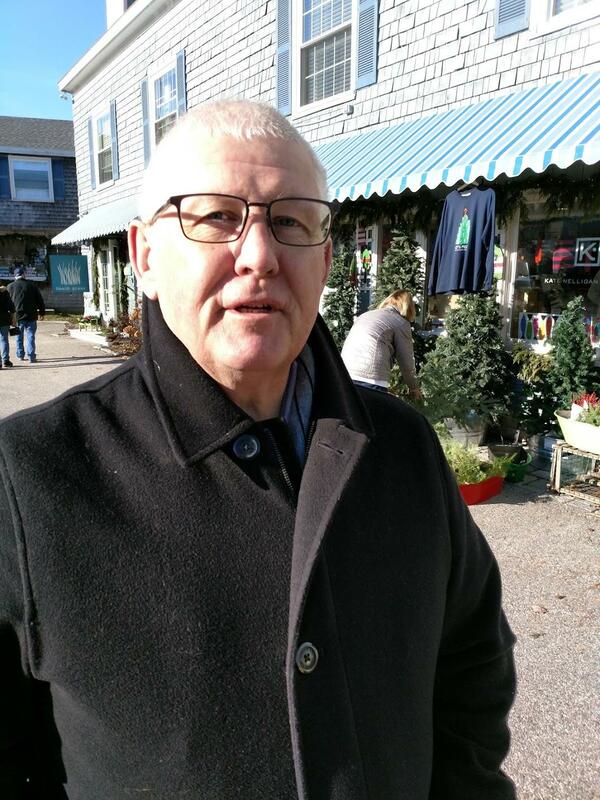 Susan Richards of Kennebunkport said she’d remember “his kindness. And his generosity.” And Richards pointed out she was a Democrat. At the entrance to the Bush family compound at Walker’s Point, a printed sign was posted asking people to place any memorials at a nearby plaque that sits at a spot offering a view of the compound set against the Atlantic Ocean. At that spot Saturday, you could find a couple of roses, a wreath, some beads, a copy of a book about Bush and a Navy cap emblazoned with the aircraft carrier that bears his name. As for the compound’s large American flag, easily visible from the overlook, it too flew at half mast. Originally published Dec. 1, 2018 at 1:22 p.m. ET.